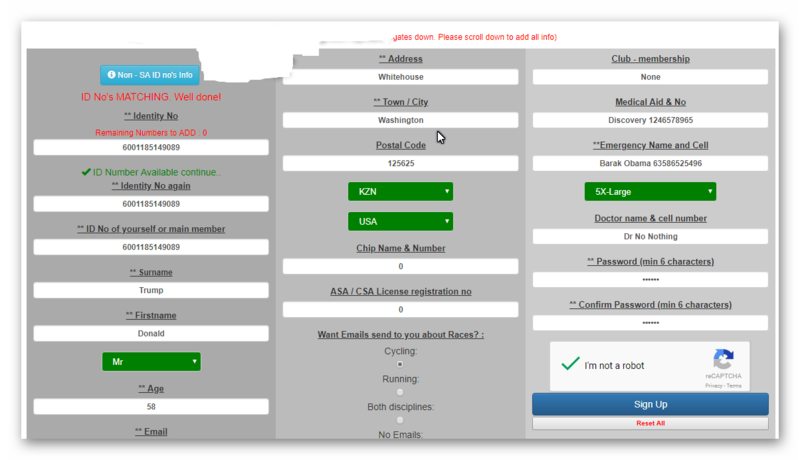 Please Note that the Google Chrome browser works the best with online entries.Other browsers may hang. 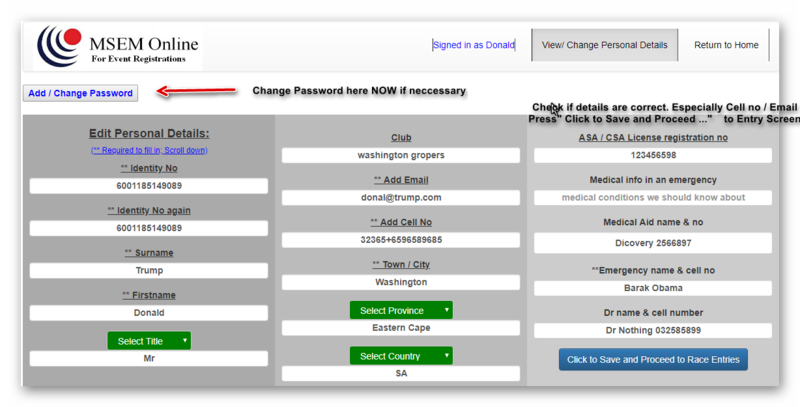 Add your ID No to both the ID no and Password blocks. Press i am not a robot. Fill in all the blocks and select the green boxes. 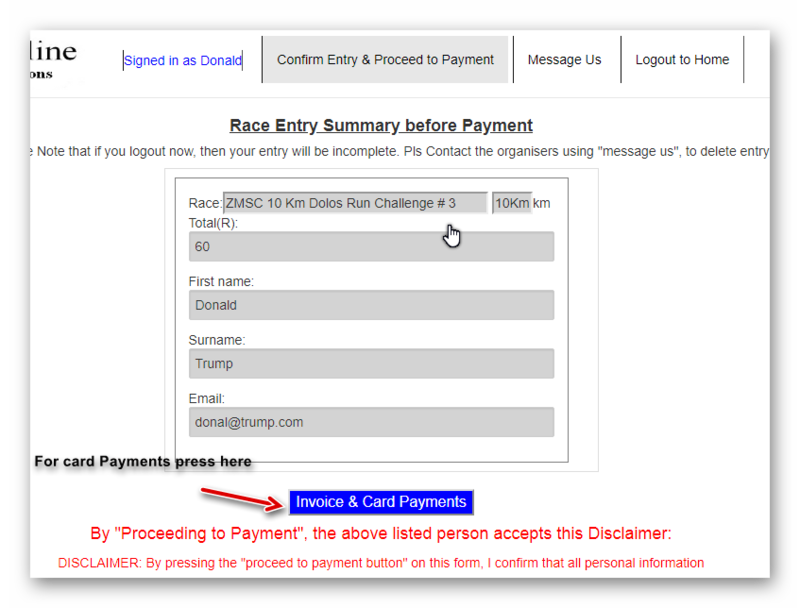 Press on "Click save and proceed to..."
Once you press the Blue "Proceed to CHECKOUT for ALL ENTRIES" Button, then there is NO COME Back to fix errors. This is the amount due. 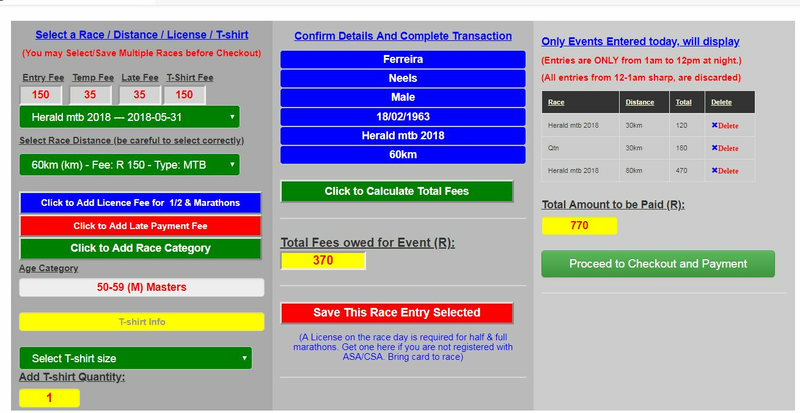 Depending on the race and fees or even No fees payable, the blue button description may be different. 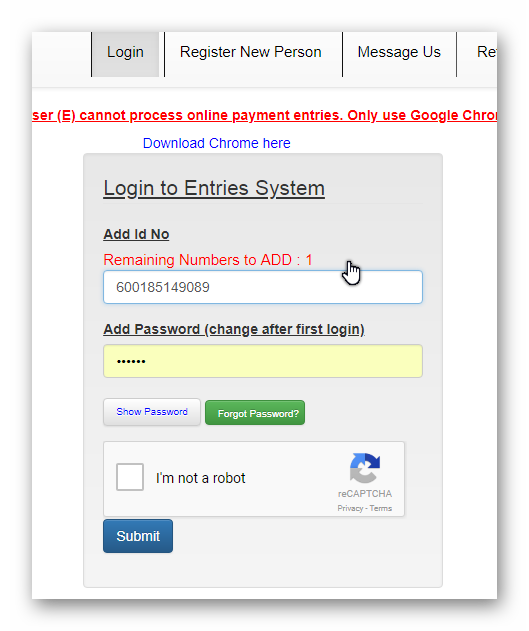 The blue button will take you to the banking site, or straight to the invoice screen .Follow the steps to complete pls .